In 2005, efforts to change the laws to legalize euthanasia and assisted suicide were before the legislative bodies in Canada and California. In both cases the legislation did not pass. However, the efforts to legalize assisted suicide have not abated and will continue. How do you frame the rules for killing, once killing is an accepted solution for human suffering? What is the meaning of true compassion and dignity? Catherine Frazee, Wesley Smith, Jean Echlin, Bobby Schindler (brother of Terri Schiavo), Adrian Dieleman and Senator Sharon Carstairs (former Chair of the Senate Committee on Euthanasia and Assisted Suicide, Canada) bring a wealth of personal experience and insight to a society that would be at risk if assisted suicide were legalized. They expose the oversimplification, flaws and myths surrounding safeguards, pain management and suffering. Together they offer tangible solutions as to what needs to be done to improve the quality of life for all concerned and make a strong case that vulnerable people are directly threatened by euthanasia and assisted suicide. It's time to let our voices be heard because if the laws are changes, we'll be fighting for our lives. 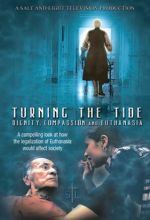 Turning the Tide speaks of the value of life for every human being -- even for those who are most vulnerable who appear to have no hope for a "normal" life. How can we provide true compassion and dignity for loved ones whom society is ready to cast aside? This compelling program was especially helpful to my family when we had to make some difficult decisions regarding my father's declining health. The DVD also looks at the current efforts to legalize euthanasia and assisted suicide and the possible effects that would have on our society.